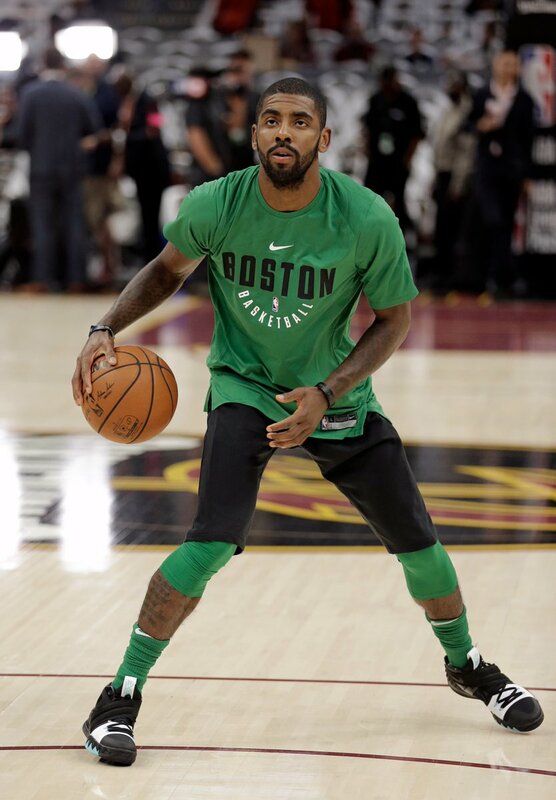 During warms up of tonights game against the Cavs, Kyrie Irving debuted a very unique Nike Kyrie hybrid model that combined all three of his signature shoes. Dressed in a Black, White, and Green color scheme. This new Nike model featured a triangular midsole pattern and heel from the Kyrie 1, a mid-foot strap from the Kyrie 2, and an overall build as his current Nike Kyrie 3. No word on if Nike will end up releasing this particular model, but you can get a few looks of them below. Let us know what you guys think in the comments section.